Spiced wine? Mulled cider? We say “choose both” with this Warm Winter Sangria. 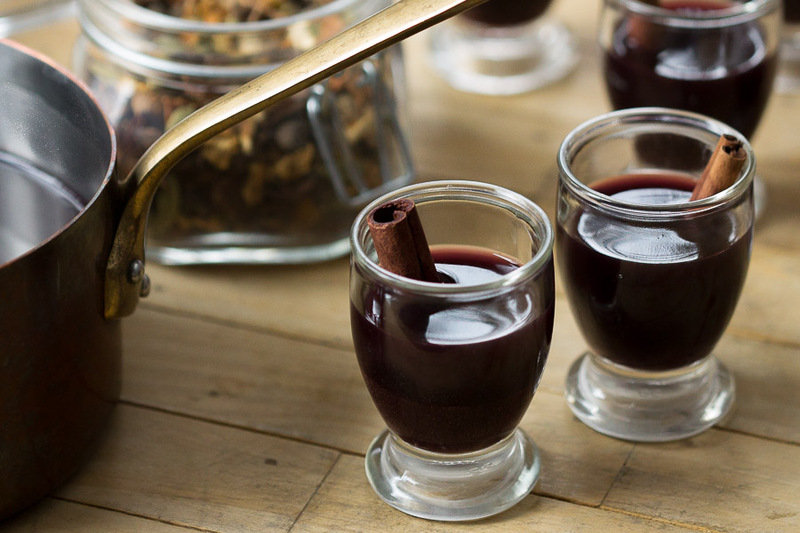 Mulled wine alone can be too harsh, and mulled cider too sweet. Put them together with a touch of honey and orange, and the drink comes out just right. Choose a full bodied wine whose shelf-talker boasts of black or red cherry flavors that will complement the mulling spice, but with a price that won’t break the bank. Mid-shelf Pinot Noir or Cabernet are good choices, and an unfiltered and unsweetened cider is the perfect complement. We were lucky enough to have one straight out of the press and it made this Warm Winter Sangria all the more flavorful. Don’t forget the mulling spice! Combine the wine, cider, honey, mulling spices and orange juice and zest in a non-reactive saucepan. Bring the mixture to the boiling point and immediately lower the hear. Simmer ever so gently, 10-15 minutes. Strain and serve. The sky's the limit on creativity with this drink! Try blended ciders like cherry, blackberry or pear, or add a splash of brandy to make it extra boozy.